The image is probably familiar to you, something you may have seen in any number of comedy bits over the years—an apprehensive person lies down on their stomach and an acupuncturist proceeds to stick them with needles, producing comedic yelps in the hapless victim. And yet, while this remains a common trope in popular media, over 14 million Americans have experienced the benefits of acupuncture, having used it to treat some medical ailment. Acupuncture was first introduced to the U.S. in the 70s, after a reporter accompanying President Nixon on a trip to China received the treatment after an emergency surgery and wrote positively about the experience in the New York Times. Since then, the practice has gained traction among Americans, the FDA classified acupuncture needles as medical devices, and numerous studies have confirmed acupuncture’s effectiveness. So, what exactly are the benefits of acupuncture? What conditions can it treat? Is it painful or are there side effects? Here’s a rundown of the basics you need to know. Probably the most prominent benefit of acupuncture is its ability to provide pain relief. In particular, research has shown that acupuncture can relieve the symptoms of back, neck, and shoulder pain, as well as chronic headaches and osteoarthritis (commonly referred to as degenerative joint disease or wear-and-tear arthritis). 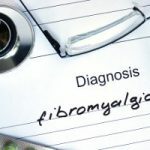 Other studies have found acupuncture to effectively reduce pain in patients with fibromyalgia, post-operative pain, and dental pain. The studies that proved this compared acupuncture against both non-treatment and simulated acupuncture. When medical treatments are being tested for effectiveness, the clinical trials use control groups that are given a simulated treatment—when a drug is being studied, for example, the control group will receive a sugar pill. This extra measure is taken to make sure the positive effects of the treatment aren’t merely the result of a placebo effect. So, simulated acupuncture is real acupuncture’s sugar pill—rather than inserting the needles into specific points according to the patient’s illness, the needles are used in random locations and might not pierce the skin. The fact that real acupuncture performed markedly better than this simulation proves that the benefits of acupuncture are real and cannot be explained away by placebo, as some try to do. But how does acupuncture work? Well the acupuncturist chooses the acupuncture points by examining where the patient is experiencing pain. Long, thin needles are inserted into these locations and then manipulated by the acupuncturist. Sometimes they are heated or used to conduct a small electrical current, but this isn’t always part of the process. In ancient Chinese tradition, these needles were thought to stimulate energy flow through pathways called meridians, breaking up blockages thought to be the cause of many conditions. Today, however, academics of western medicine believe the benefits of acupuncture stem from stimulation of the nervous system. Acupuncture points are understood as spots where nerves, muscles, and connective tissue can be stimulated in such a way that blood flow to that area is increased and natural painkillers released within the body. For patients with chronic pain, especially those with the type of pain where there is no identifiable mechanical cause for the pain and it’s likely an issue with the nervous system, this could be just what they need to provoke their body’s own response against pain. That’s particularly important considering the epidemic of opioid addictions in the United States and the concerns that have been raised about their excessive prescription to people suffering from pain. Natural treatments like acupuncture may be a viable alternative to replace these unsafe drugs which so often lead to chemical dependence and even serve as a common gateway to heroin addiction. Those types of pain aren’t the only thing acupuncture is good for, though. A more complete list of conditions and symptoms which acupuncture has been proven to be effective against can be found on the website for UC San Diego’s Center for Integrative Medicine, where they have a page for acupuncture. The list includes dysentery, colic, depression, leukopenia, sciatica, sprains, strokes, and tennis elbow. The page also includes a list of conditions for which there is “limited but probable” evidence for acupuncture’s effectiveness. These include palsy, acne, gastrointestinal problems, asthma, insomnia, diabetes, drug addiction, schizophrenia, urinary tract infections, whooping cough, dementia, sexual dysfunction, prostatitis, and more. Are There Risks or Drawbacks? The first question everyone asks about acupuncture is how much it hurts. The truth is that most patients experience either no pain or minimal pain, though depending on the reason for the procedure and the location of the needle placements, pain is possible. The needles are only kept there for 5 to 30 minutes though, so even if there is some pain, it’s likely a small price to pay for long-term relief. Possible bleeding, bruising, or soreness can continue for a bit after the treatment, but the needles are so thin that this is usually negligible. There are other risks to keep in mind, of course. Patients who are taking blood thinners, or who have a bleeding disorder, should probably avoid acupuncture, as the needles are piercing the skin and this could be dangerous in those cases. And, of course, whenever needles are used, they must be sterilized. This is particularly important to keep in mind for patients such as those undergoing chemotherapy, whose immune systems are in a weakened state. For those patients, infections can be debilitating and even life-threatening, so great care must be taken to insure the sterilization of needles. For those reasons, you need to have a licensed professional performing your acupuncture if you do decide it’s a treatment method you’d like to pursue. The benefits of acupuncture are many, but only if the person performing the acupuncture knows what they’re doing. Here at Back in Shape Chiropractic, we have been studying and observing the benefits of acupuncture in Gurnee, IL for nearly 30 years. Our practitioners are educated and licensed doctors of chiropractic who are qualified not only to administer acupuncture, but to diagnose your condition and decide whether acupuncture is a good treatment route in the first place. Make your appointment today by calling 847-249-2225.